One of the many tasks of a coach is to provide a great training atmosphere that is conducive to results. In other words, we want to limit any distractions and any waste of time so that we can be productive and get the best out of every training sessions. If serious about their progress and their training, trainees should have strong work ethics, be respectful and not let feelings of adversity or admiration get in the way of their goal. It’s hard for a coach to teach how to focus without sounding like an elementary school teacher. Spurted by recent events and based on my experience, this article should be seen as a lesson on how training atmosphere is important. 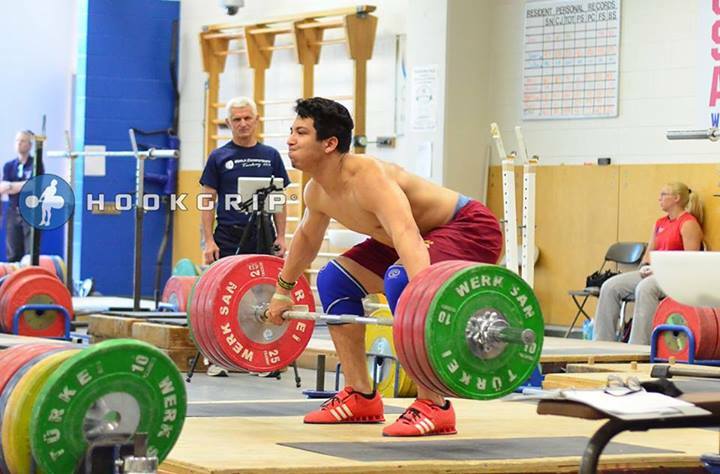 Weightlifting being so underground and unknown, coaches are just happy to have a few athletes to coach. Most clubs in Quebec (Canada) have way under 20 members (there are exceptions though). We do not have a national training center. In many countries, when you show potential and you are making the right bars, you get invited to the national center where food, housing and sometimes salary is covered. In exchange, you have to show results and show up at training. More importantly, many rules are supposed to be followed (whether or not they are enforced or followed is another topic of discussion). Rarely is fooling around tolerated and rarely are conflicts tolerated. This does not mean that adversity is absent in such situations, but I think that an effort is made to limit conflicts. Two champions competing at the same meet, in different categories. 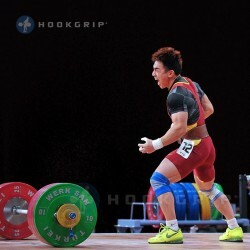 Both were runners for best lifter awards. Great respect. 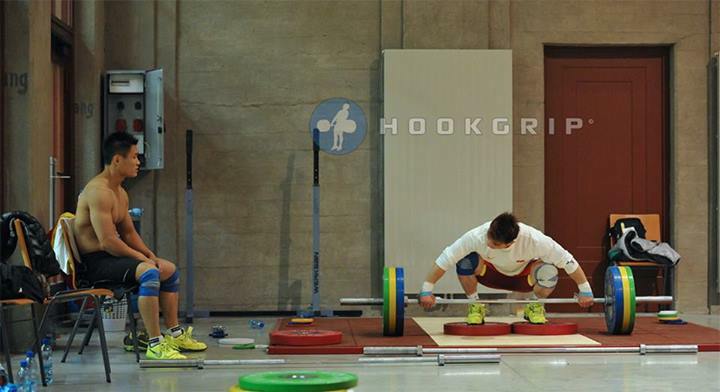 Those who have followed weightlifting gossip for a while will be familiar about the pre London 2012 Klokov-Akkaev situation. Basically, according to an interview with Klokov, he refused to talk to Akkaev during much of his preparation for London. I am unaware if Akkaev had the same behavior or not (It could have been mutual). Although probably more relaxed here, adversity between athletes is present within clubs and it can blind athletes in their quest to reach their goals. It can be due to personal or performance reasons. Given our situation here, it can be hard as a coach to deal with such conflicts, but it has to get resolved. Get them to talk and make a truce. 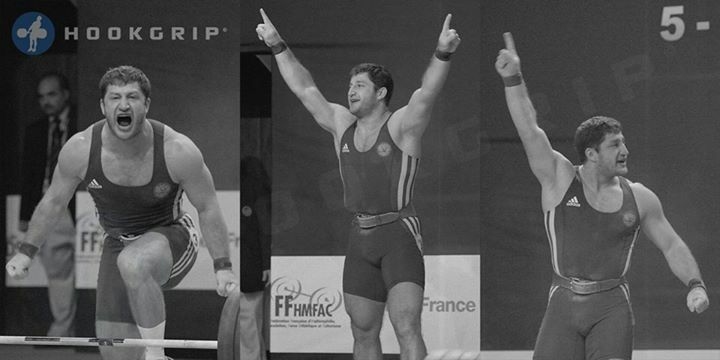 If you find the video, you will see Klokov shaking Akkaev’s hand after the 2011 worlds, even thought there was a lot of adversity at camps. You have to understand what harsh adversity really means in the context of training. It means lifting without the support of a teammate at competition (ie : them looking away or not even offering help to count your bars), not getting cheered (although the other person can cheers others in front of you), and dealing with negative feelings during training. I have said it many times, it’s hard to travel on the road to success when you keep hitting bumps on the street and many of those bumps could have been easily dodged. I believe that if two athletes can’t resolve their conflicts, they should try and act as professional as possible in the gym and at competitions.Actually, it should be asked of them. If the other athlete is not willing to do so, then at minimum be at peace with yourself. You cannot lift in conditions where you don’t control your emotions. In every clubs, there are athletes that are just one step ahead, and will most likely stay there for a long while. Being the best of the club can get you the respect and admiration of most of the athletes of the club. That means all eyes are locked on you. Some would argue that it is a similar feeling to what you get at any competition, but competitions are far and few in between whereas training is everyday. Most of the time, however, it’s fine as long as the athlete sticks to the plan and does not make ego-based decisions. The coach should limit those bad calls. On the other hand, it’s great and amazing to support athletes and other club members like this, but when it’s training time, it’s training time. I have often seen athletes stop doing what they were doing to look at the athlete they admire. To me that’s a lack of focus. If you are training, and stopping your set just to observe what he/she is doing (EVERYTIME), then you will never be as productive as the he/she is. While you are looking, he/she is training and getting better. If anything, try and observe only during your rest period. Now don’t get me wrong here. Admiration is a normal feeling and supporting a fellow athlete is great. Just understand that training time means training, and that once you are done you are free to do what you want. Most of us have other things going on in life, be it school or work or relationships (wife/husband/kids) and the training window is small, so don’t miss it. Plus, if you are not used to focusing on your thing during training, your head will be spinning so fast in the warm up room of your next competition. You will be looking at how other great athletes are doing and what they are doing, and not paying enough attention to what you are doing or should be doing.